Now is the time of year when cranes fly above our town southwards. I did not happen to see any so far this season but I once heard them in the dark. Though I love to watch them. I think their behaviour is just too amazing. There are many different bird related quilt patterns—Flying Geese, Birds in the Air, Bird’s Nest, Migration, and Wild Goose Chase, Wild Geese, Hovering Birds and Hovering Hawks, Duck and Ducklings, and Darting Birds in the Farmer’s Wife quilt. 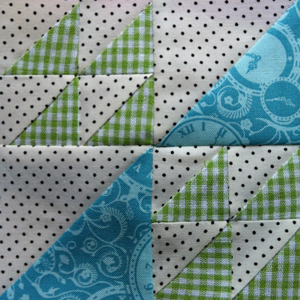 Posted in Uncategorized and tagged farmer's wife, farmer’s wife quilt, flock, flock block, quilt, quilt block. Bookmark the permalink.